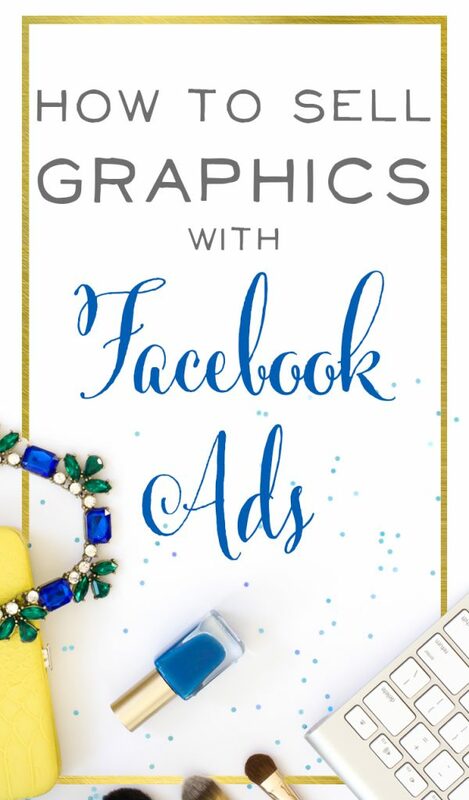 Today’s guest, Kelli Mitchell, a Mom of 3 from Abilene, Texas and owner of Pink Lemonade Company, came on the podcast to chat about the tremendous impact Facebook Ads have had on her business. Kelli started toying around with the idea of Pink Lemonade Company in 2009, and it came to fruition in 2011. She was working in a hospital as a respiratory therapist, pulling 12 hour shifts, and never saw her son! “Things had to change,” Kelli said. She was always drawn to graphic design and art, so she pulled a 180 and changed directions. 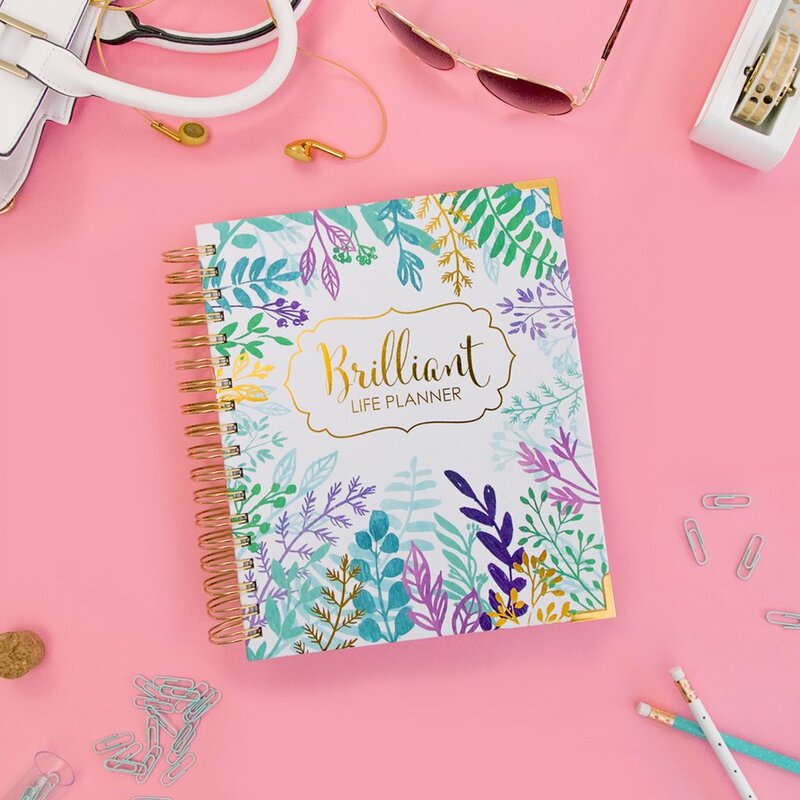 Kelli knew she wanted to design products and marketing materials for boutique business owners, so Pink Lemonade Company was born. Pink Lemonade Company’s bread and butter is graphic and web design. In 2013 Kelli’s sister came on board, and now they offer t-shirt screen printing too. In May, they started a graphics membership site. These days, Kelli’s baby project is that membership site. 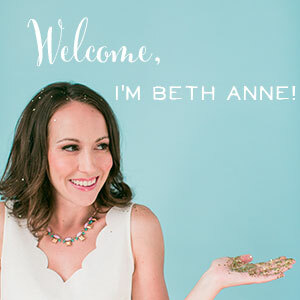 Most of her first clients came through Etsy, before she transitioned over to her own website. We were so curious to hear about Kelli’s new membership site*! Kelli says she has been procrastinating on this dream project forever. “It was overwhelming, and I had a lot of fear about it…But you just have to jump for it.” We’re so glad she did! Kelli’s product received instant proof of concept with new members joining quickly. The Need for a Membership Site: As a new business owner, Kelli was having trouble getting affordable access to graphics. 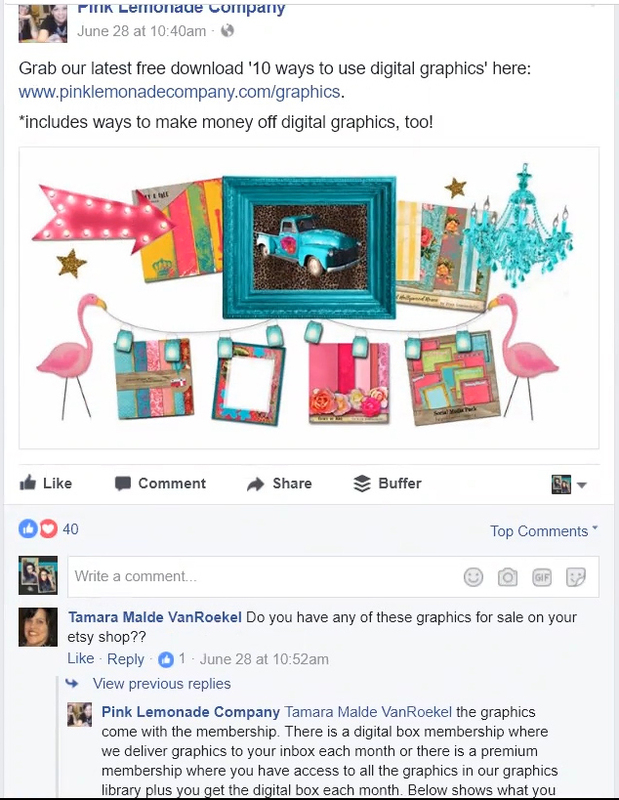 Many graphics require expensive licenses to use for business purposes and are just out of reach for new business owners. Thanks to a community of designers who welcomed in Kelli, she saw how great it could be to have open access to any graphic a business owner needed. Pssst. 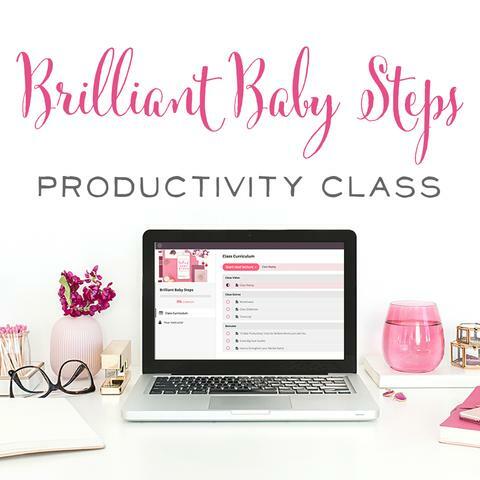 Kelli is offering a special rate JUST for Brilliant Business Moms listeners! All of the graphics on the site are from Kelli’s own stash. Kelli is solving a real problem, here! There are only so many extended commercial licenses any business owner can afford! How great that her customers don’t have to worry about seeing those three dreaded words – ‘Personal Use Only’. They can just opt-in to Kelli’s membership site, and use ANY graphic they see that will be PERFECT for their creative projects. She marketed the site via her email list and Facebook (Hint: her email list grew through Facebook!) She sees 98% of her traffic come directly from Facebook. As a business owner, I’m constantly trying to hone and tweak my email funnel. It’s tricky! I wanted to hear how Kellie nurtures her leads. Her biggest trick is: test, test, test! She uses both short funnels and longer funnels. Her shorter funnels seem to work better at the moment. And with ever-shrinking attention spans, it makes sense! Kelli has also seen a big change in that people just seem to want tons of free content. That has been challenging to navigate. But at the same time, she has also seen big changes in businesses wanting to invest more in courses and coaching. In Kelli’s experience, making those decisions to invest in her business was a turning point. (We have found the same at BBM!) If you’re not growing, have you dug deeper and tried to learn more? If not, you’ll stay stalled! In 2013 Kelli was at that stall-point. She remembers vividly the feeling of sitting on her back porch and wanting to close up shop. But the business HAD to be a money maker for her family. “I decided to start acting like a business woman and stop treating it like a hobby,” she says. And that can-do attitude made all the difference. 17:20 – To Discount, or Not to Discount? 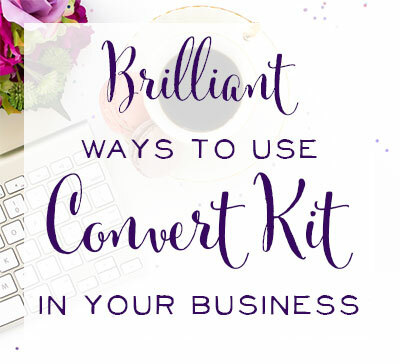 So at the end of her fabulous email funnels, how does Kelli get the sale? A limited time offer or bonus? Or does she just straight up pitch her product? Kelli usually offers a small discount, just to pique interest. She’s always working on that balance between valuing your brand (She’s not Walmart!) and winning the sale. I love our discussion about value versus discounted products. SO many gurus say never discount, because then customers always expect it. But on the other hand, customers really do love a good discount! You’ll have to listen to us talk shop. I love the sweet spot Kelli has found for herself and her customers. And in the picture, it’ s a cute photo of a coffee mug she designed. Her company has a great Texan vibe. It’s vintage, funky, and fun. Very colorful, but in a muted way. Kelli has a really strong brand identity that just the right funky Southern lady will absolutely love. She boosted this post for $9.00. She got 137 reactions at $0.07 per engagement. She got 64 total clicks at $0.14 a click. 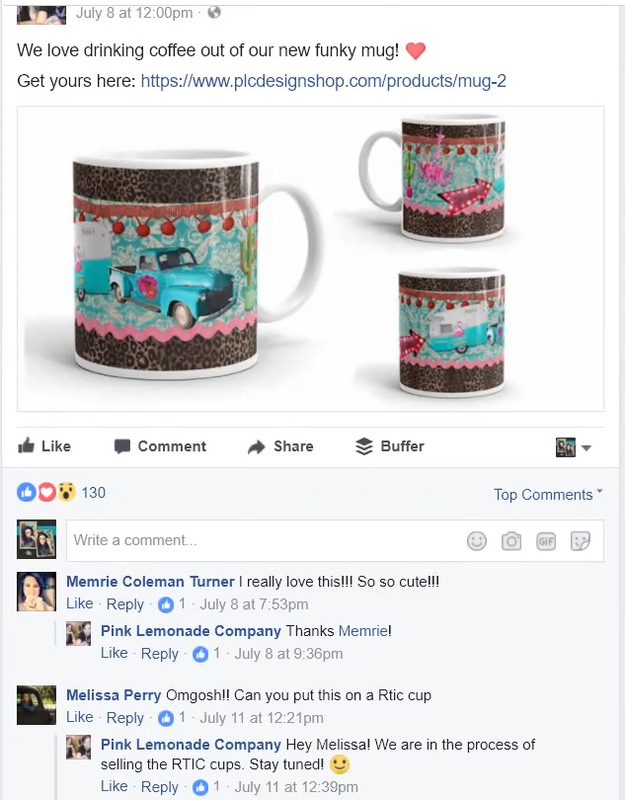 Kelli was able to track several sales and Facebook messages about her product from her ad, which is great because the main purpose of her boosted post wasn’t even sales, it was market awareness and proof of concept. She wanted to know if the mug would be worth it to develop. Kelli has a pre-set target group she often uses for ad promotion and will create duplicates or lookalikes of that audience. This particular ad was shown to a lookalike audience, so a cold audience who has had no prior engagement with her brand. These numbers are fabulous! 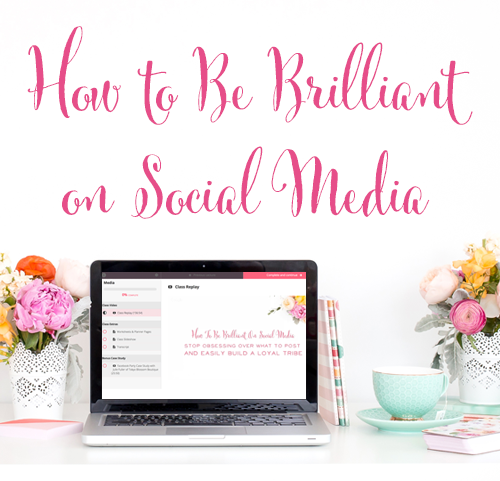 There’s a particular strategy Kelli uses to nail her perfect audience that is just brilliant! Often she will use the same type of ad and freebie, but with different goals for the campaign. One campaign goal might be to get traffic, one might be email signups, and one might be brand awareness. Kelli wants affordable subscribers, like all of us, and by testing out different campaign goals she may find that one campaign method is more affordable than another. Kelli admits she doesn’t let her ads run as long as she could. But even so, her freebie ‘10 Ways To use Digital Graphics’ got Pink Lemonade Company 400 new subscribers. Her average cost per subscriber was $0.80 to $1.20 per subscriber (This is an incredibly affordable cost per subscriber!) And that’s the power of testing! Try out different ads, different campaign styles, different offers, and different audiences. Amazingly, Kelli has great groups of cold audiences that perform really well! She’s keyed into her unique Texan flair and uses that to find people to get her ads in front of. One of her best target audiences is the singer Miranda Lambert! This is so smart, you guys. She also has found success targeting boutiques, like Junk Gypsy Company – which is really popular in Texas. Business-focused sites don’t do as well for Kelli, even though her clients are mostly business owners. Kelli just knows they’re the people who would follow Miranda Lambert before Marie Forleo! Let’s take a closer look at Kelli’s ad creative and copy. Image: Her image shows tons of digital graphic examples. Vintage arrow sign with bulbs on it, yard flamingos, and an old blue truck. 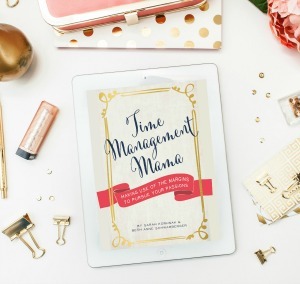 This freebie has gotten 400 new subscribers for Kellie in just 14 days – a huge boost for her list! She ran the ad in June, and as a result has seen tons of new members join her membership site. She was spending about $10-$15 a day and securing 1-2 new members each day who are paying 10.00 a month! So Kelli is already seeing an immediate return but can likelh 5x or 10x her return on ad spend depending on how many members she retains. Kelli does anticipate that Pink Lemonade Company will shift to this membership model in the future as it’s truly where her passion lies. To her list of 1,200, Kelli made 90 sales during her first launch weekend! And to those of you struggling with self-promotion, Kelli says she pitched her list Friday, Saturday, and Sunday – AND got sales every day! The few unsubscribes didn’t bug her at all. Listen, we KNOW it’s not comfortable to send tons of emails, but even our favorite business gurus do it! Last chance emails are a proven way to get more sales, and if you do get a few unsubscribes due to the volume of mail, Kelli says, “That’s fine! Get off my list.” Be comfortable with the tribe you attract and those who may peace out because they’re not your people. What kinds of things does Kelli test in a new campaign? Does a certain type of campaign consistently perform better, or does it vary per promotion? Ooo so much juicy Facebook ads goodness to discuss!